Tix4Cause is an Illinois-based company that developed technology for consumers to buy sports and event tickets online at the same price they would elsewhere and select which of more than 850 nonprofits receives a substantial portion of our revenue. Consumers who already have tickets are able to donate them to a cause and receive a tax receipt. In addition, our new advanced digital platform enables businesses, associations, universities and cause-based organizations to connect with their constituencies in an innovative, relevant and fully branded way and raise funds at the same time. Why did you select a for-profit model for Tix4Cause? Our new advanced digital platform enables businesses, associations, universities and cause-based organizations to connect with their constituencies in an innovative, relevant and fully branded way and raise funds at the same time. Businesses are very efficient vehicles for reaching ambitious goals and we needed the structure and flexibility of a for-profit to achieve our objectives. We were able to raise funds from investors seeking a good return from a company that delivers a great social benefit and we’re able to engage other efficiencies unavailable in the nonprofit arena. Who are your competitors and who are your customers? Our customers are the 81% of Americans who want companies to give them the opportunity to buy a cause-related product and the 80% of consumers likely to switch brands about equal in price and quality to one that supports a cause. Our customers are also the charities with which we partner; there are currently over 850 of them including national ones like MADD, and Autism Speaks, and local ones from every region of the country. We also support schools and companies wanting to make their charity connection more efficient and powerful. As far as competitors, while there are many online outlets to purchase entertainment tickets we are the only website with the technology to make every ticket purchase and every ticket donation matter for a charity in a simple, cost effective and transparent manner. We’re the ticket website with a heart. 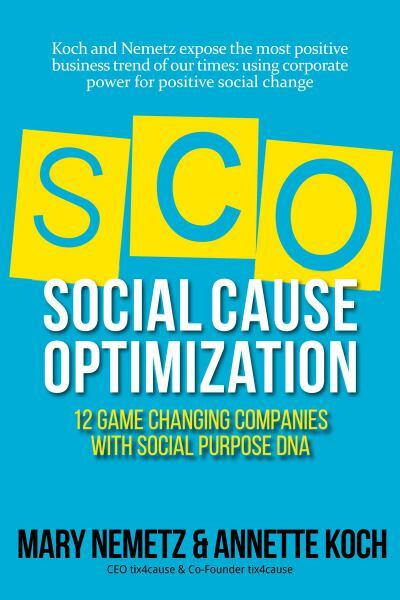 Why did you write Social Cause Optimization? We were able to raise funds from investors seeking a good return from a company that delivers a great social benefit and we’re able to engage other efficiencies unavailable in the nonprofit arena. I started Social Cause Optimization to share the remarkable experience and results we’re having at Tix4Cause with the hope that other companies would follow suit. In researching the social entrepreneurship field I quickly discovered many for-profit companies with a social purpose in their makeup doing some incredible things and having a massive positive impact. I knew I had to tell their stories too so I focused on some of the most impactful ones like Warby Parker, Tom’s Shoes, and a dozen others to gather and share what’s working at those companies. Their leaders were helpful, inspiring, and had some great advice for other companies looking to make a difference and focusing on the cause based consumer. I think the book delivers a playbook for what the title offers: Social Cause Optimization in companies. Why do we need social entrepreneurs and what do they bring to the marketplace? In researching the social entrepreneurship field I quickly discovered many for-profit companies with a social purpose in their makeup doing some incredible things and having a massive positive impact. I knew I had to tell their stories. There’s a documented national trend of cause based consumers demonstrating their passion for specific issues and causes in their choice of products and services. The vast majority of these consumers want companies to tell them the ways they are supporting a cause. Social entrepreneurs bring the consumer what the consumer is demanding. They use entrepreneurial principles to take on social problems and provide a vehicle for these cause based consumers to make a difference while doing what they were going to do anyway. Both of these components: social entrepreneurs and cause based consumers are different views of the same business model. You were recently recognized with a major tech innovation award, isn’t this unusual for a cause focused company? From a tech standpoint no, but being a tech company with a cause focus - yes. I think you will be seeing more and more companies take on a cause focus. It’s my greatest hope for Social Cause Optimization, businesses building a social purpose into their DNA. In today’s business environment making money is no longer the sole criteria for a successful company. It’s taking the success you achieve and knowing how to use this to help contribute and make a difference and allow others to do the same – easily and efficiently. Tix4Cause matters and is making that difference. There really isn’t any company that couldn’t benefit their bottom line and also their world with SCO (Social Cause Optimization). It’s my greatest hope for Social Cause Optimization -- businesses building a social purpose into their DNA. What has been your most rewarding moment in launching and running Tix4Cause? While there are so many if I had to pick one, it would be working with a dad who lost his young son to a heroin overdose. The grief he felt was palpable and his desire to do something overwhelming. But it takes awareness and funds. Tix4cause provided him, at no cost, the technology and platform to do both within his community to save lives and to honor his son’s memory. This is technology and social cause optimization at its best. Mary is a social entrepreneur founded and leads tix4cause, a now-national upstart in the online event ticket industry. 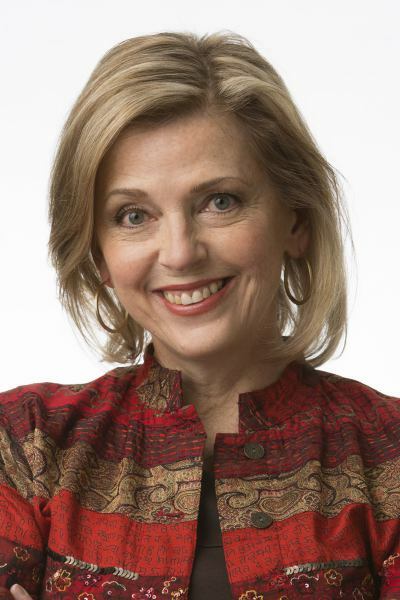 She’s a weekly guest on Sports Byline Sunday, speaks frequently about social entrepreneurism, blogs about the intersection of sports and charity at Playing the Field with Mary, and is co-author of the upcoming Social Cause Optimization (Sutton Hart 2014).